As a one of the foremost painters of the 20th century, Dalí, like Picasso and Warhol, can boast of having overturned the art of the previous century and directed contemporary art toward its present incarnation. As irrational as he was surrealist, this genius diverted objects from their original meanings, plunging them into the acid of his constantly churning imagination. A megalomaniac and an artist who above all understood the force of marketing and publicity, Dalí disorients the viewer in order to draw him into the artist s world. On his canvases, images and colours crash together to express and mock certain ideas, creating a subversive eroticism that taps into the subconscious of the avid voyeurs that we are. 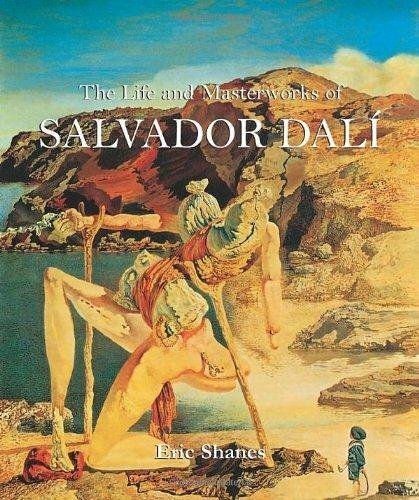 The author, Eric Shanes, explores the twists and turns of Dalí s mad genius, commenting on the masterpieces of the painter so as to show the diversity and scope of his talent, leaving the reader blown away and bewitched by this Prince of Metamorphosis. This work opens up the sweet, mad universe of this megalomaniac genius and invites us to let ourselves be overcome ... Dalí is, first and foremost, an absolute. A painter as well as a writer, Eric Shanes has exhibited his works many times in London and elsewhere. He is one of the world s leading authorities on one of Britain s greatest artists, J. M.W.Turner, and the author of ten bestselling books and catalogues on the life and work of this major European painter. Shanes is the current president of the Turner Society, and he is also the founding editor of Turner Studies, a scholarly journal published by the Tate Gallery. In 2000, he was the curator of the major exhibit Turner:The Great Watercolours that was held at the Royal Academy of Art in London to mark the 150th anniversary of Turner s death. His books and catalogues on Brancusi,Warhol, Hockney, The Golden Age of Watercolours, The London Impressionists, and Pop Art have all been well-received by critics. The author of numerous publications on contemporary art, he gives lectures all over the world. His website is www.ericshanes.com.